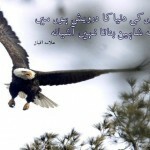 Home / Philosophy / Allama Muhammad Iqbal a great poet! 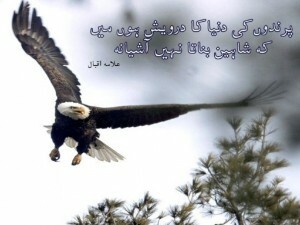 Allama Muhammad Iqbal a great poet! 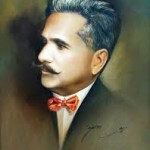 Among the Persian poets of modern times Iqbal (d. 1938) stands head and shoulders above his contemporaries. 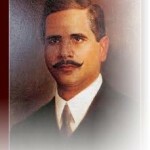 A disciple and admirer of Girami, a contemporary scholar and poet of Jullundur, who was nevertheless a polished artist and had the distinction of being the court-poet of the late Nizam and his teacher in Persian poetry, Iqbal had imbibed deeply the mystical ideas of Jalaluddin Rumi and Hafiz on the one hand and the philosophy of Nietzsche, Bergson and European philosophers on the other. 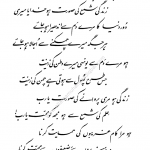 He had, at the same time, studied closely the poetry of Ghalib, Urfi and Naziri and was considerably influenced by their technique. This, coupled with his own natural talents acquired wide recognition all over the world and has been particularly appreciated in the countries were Persian is spoken.